Each card measures approximately 11cm x 8cm (4.3 x 3.1 inches). 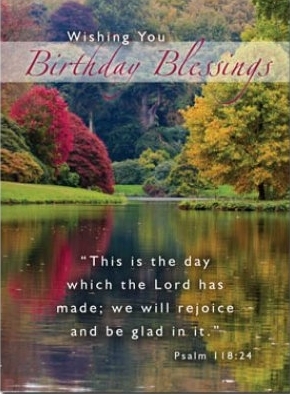 Birthday Blessings Cards - Pack of 4 is published by Teal and is our 179th best seller. The ISBN for Birthday Blessings Cards - Pack of 4 is ED90339A. These are a nice quality card but unfortunately very small. Not at all as I expected. I have to agree with the previous review - got quite a surprise as to how small the cards were! However, I have to say, I did not look at the size that is mentioned on the description, so my fault!! Good to have " at the ready"
Got a question? No problem! Just click here to ask us about Birthday Blessings Cards - Pack of 4.